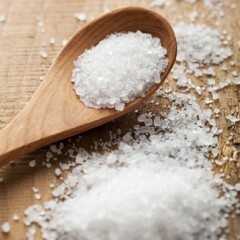 The dangerously high levels of salt in processed foods and fast foods remain substantially unchanged, despite numerous requests from the public and private national health agencies to voluntarily reduce sodium levels. And 'what emerges from a new study from Northwestern Medicine conducted together with the Center for Science in the Public Interest. The study, to be published May 13 in JAMA Internal Medicine, assessed the sodium content of processed foods in some selected and fast-food restaurants in 2005, 2008 and 20011. The main result is that the sodium content of foods is higher than ever. The study found that between 2005 and 2011, the sodium content in processed foods is 402 decreased by about 3.5%, while the sodium content in 78 fast-food products increased by 2.6%. The relevant result is the absence of appreciable or statistically significant changes in the content of sodium in the course of six years. "The voluntary approach has failed," said Stephen Havas, MD, lead author of the study and a research professor of preventive medicine at Northwestern University Feinberg School of Medicine. "The study shows that the food industry does not want to change the situation. This problem will not be solved if the government does not intervene to protect the public health. The amount of sodium in foods should be regulated." Excess sodium prematurely kills about 150,000 people in the United States each year. About 90% of the U.S. population develops high blood pressure and salt in the diet is a major cause. High blood pressure increases the risk of heart attacks and strokes, often resulting in death or disability. "High salt content in food benefits the food industry," said Havas. "The salt masks the flavor of ingredients that are often not the best quality and also stimulates people to drink more, resulting in industry profit food and beverage"
A typical American consumes an average of nearly two teaspoons of salt per day, far exceeding the amount of the recommended amount of three-fifths of a teaspoon or no more than 1,500 milligrams, as recommended by the American Heart Association. Approximately 80% of our daily consumption of sodium comes from processed foods foods. Much less comes from salt added to food. "The only way for most people to cope with the recommendation to limit sodium, is to cook the food and gives himself no salt," said Havas. "But it is not realistic for most people." Havas also noted that our taste buds are quickly adapted to less salt.The FDA must begin to regulate the food industry and the catering industry, and must do so as soon as possible.